Our bright technologies have a dark side that leads us down into the mining world. The growing demand for these raw materials (rare earth elements, etc.) initiates a frightful quest, which goes as far as to endanger Life. What Treasure should we look for? 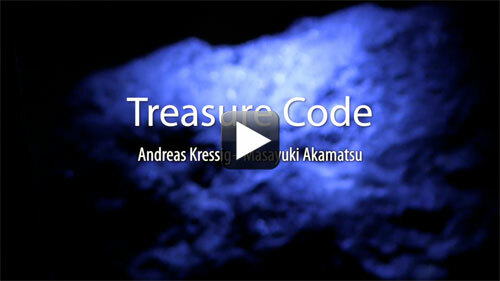 Treasure Code is an installation employing mobile devices which extract and dissolve target images into their own reality.